Loaded with features and functionality, the Stages Shimano Ultegra 6800 Power Meter is one of the best-selling power meters available. 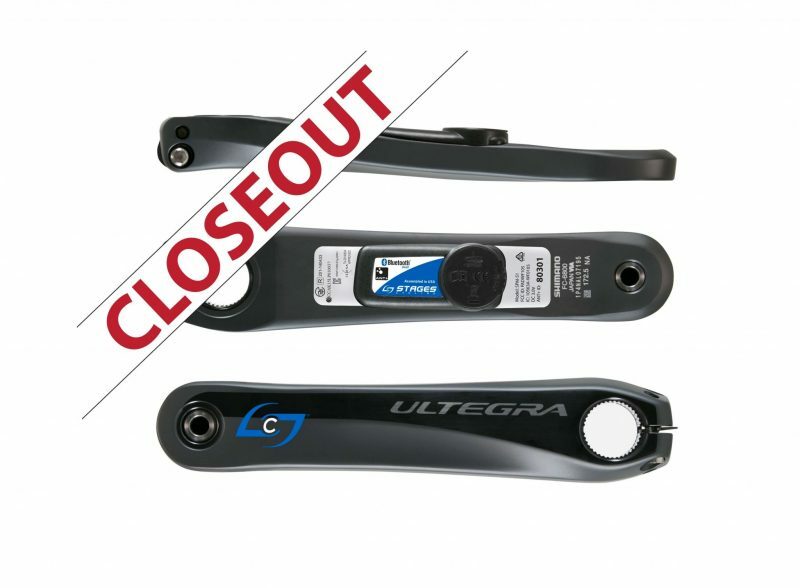 This left-side Shimano FC-6800 Stages crank arm is compatible with all Shimano Hollowtech II road cranks. The power meter features +/- 2.0% accuracy and 200 hours of battery life. Stages power meters run off the popular CR2032 battery and feature tool free battery replacement. In addition, it is extremely lightweight – adding only 20 grams to the weight of the crank arm. The power meter is compatible with both ANT+ and Bluetooth SMART devices, which means you can use your favorite bicycle computer as well as a smartphone or tablet. The Stages Shimano Ultegra Gen. 2 6800 Power Meter is compatible with all Shimano Hollowtech II road cranks. My first power meter. I went with Stages because it was recommended by my riding friends. Also because it was easy to install. Two months in so far and no issues at all. I would recommend to others. This was my second Stages PM (first time from PM City) and I’m very satisfied. The Stages PM works just as expected, but i can’t say enough about the PMC support. I had tried another brand of power meter and was not happy with it and support was great to deal with. They quickly allowed me to exchange the other brand for a Stages. The whole experience was great and hassle free. I’ll certainly be using PMC again for my next purchase. This is my first power meter and no problem with PMC shipping it to the UK – got in in 2-3 days! Easy to fit – just remove the pedal and crank arm, replace crank arm with power meter and replace pedal. Garmin head unit picked it up easily, calibrated first time and rode off into the sunset!